An escharotomy (also known as a fasciotomy) is a surgical procedure performed to allow greater circulation to a part of the body. A severe injury, such as a burn, can cause tissue to swell so much that blood no longer flows easily past the injury. The skin acts as a tight bandage, preventing the site of injury from growing larger which compresses the blood vessels, muscle, and tissue below. This problem is often referred to as compartment syndrome. For example, a patient experiences a severe crush injury at work, compressing the arm, breaking the bones in the forearm and causing tissue damage. The swelling that results from the injury increases, and eventually the tissues become so swollen that the skin feels tight on the arm. If the swelling continues, blood cannot flow easily through the arm, and the hand begins to starve for oxygen. The skin and underlying tissues essentially act as a tourniquet, making it impossible for blood to flow. When compartment syndrome develops, the treatment is to cut into the skin and the tissues underneath to allow them to spread open, relieving the pressure building in the arm. These incisions are often done in a spiral pattern, wrapping around the limb, which allows the incisions to gap open. Unlike a typical surgical incision, these incisions are not sutured or stapled closed, the process works because the incisions spread open, giving the arm in this example more room to swell without losing blood flow to the hand. It is normal to be able to see the tissues and structures under the open incisions. Any open wound has a risk of infection so the area may be covered in sterile bandages and IV antibiotics are given. 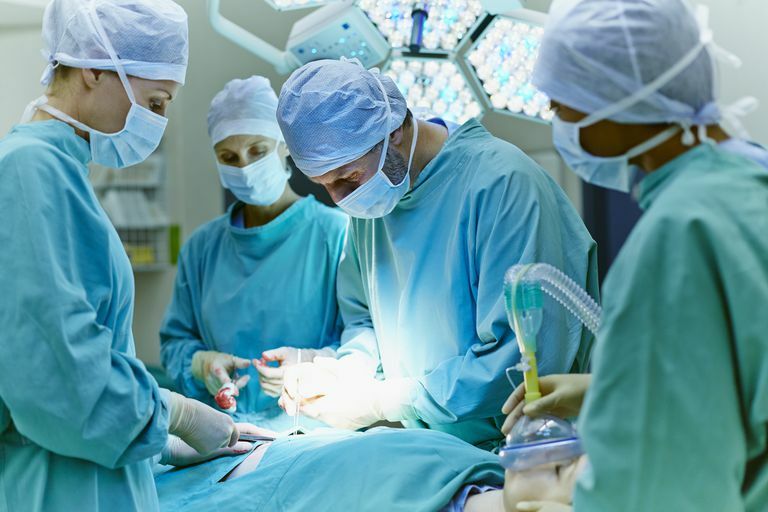 As swelling recedes, the surgical incisions will begin to close, and when the edges of the incision are close enough, the patient returns to the OR to have the wounds closed. Sign up for our Health Tip of the Day newsletter, and receive daily tips that will help you reach your 2018 goals.